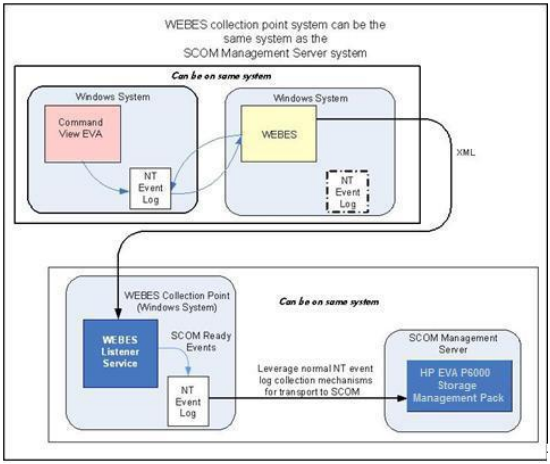 The following diagram shows how to use SCOM to monitor the HP EVA storage. 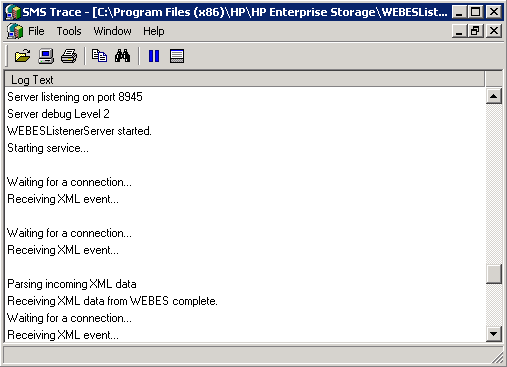 In my environment, the HP command view and WEBES are installed on the same server named A, SCOM and WEBES listener are installed on the same server named B. On server B, ensure the WEBES listener is listening on TCP port 8945. On server A, add the following entry into the environment variables. Turn on WEBES and type in the the host name and port of the WEBES listener. Big question for you. I installed IRS 7.0.8 on a server and have the DESTA.BAT file. But I’m unable to execute desta mom on or desta start. Where did you grab this setup? WEBES 6.4 does not exist on IRS 7.08. I found another thread about this. Seem to be related to Command View 10.3. This version seems to not include desta/webes anymorw Which version are you using? Now I am using SCOM to monitor HP store, I met 3Par HP and P6000 HP can not be monitor. May I ask you if there is a relevant case can be sent to me for reference. To monitor P6000 HP, I did not find you command view and WEBES HP installation package. I would like to ask where to download it.